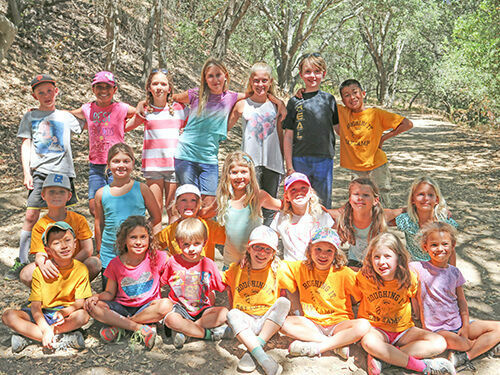 Celebrating 47 years of Camp Fun & Friends! 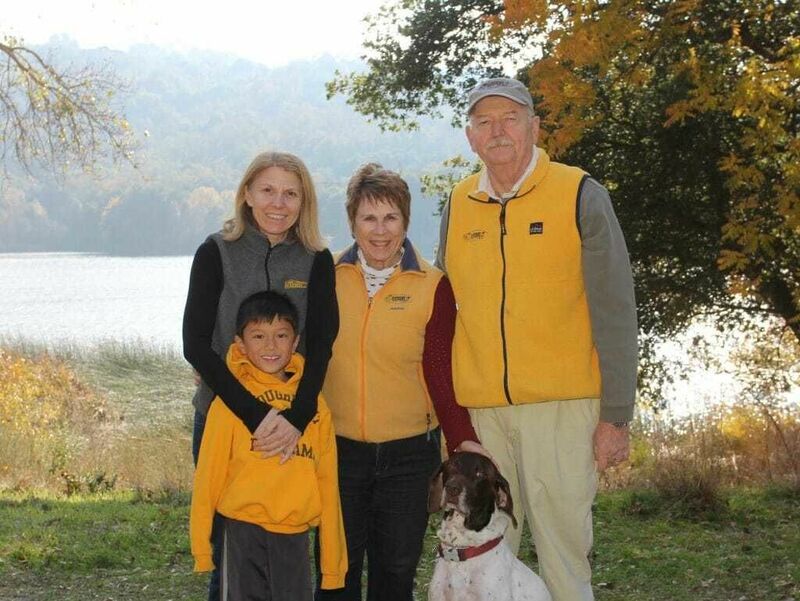 Ann and Hobie Woods founded Roughing It Day Camp in 1972 and today, along with their daughter Amy Woods, continue to own and direct the Camp. Their grandson, Cecilio, is a third generation camper. Gus the Camp Dog greets campers every day! Little did we realize when we took summer camp counselor jobs as college students working at Kennolyn Camps that this would be the start of our lifetime careers and that we would one day have our own camp, Roughing It Day Camp! 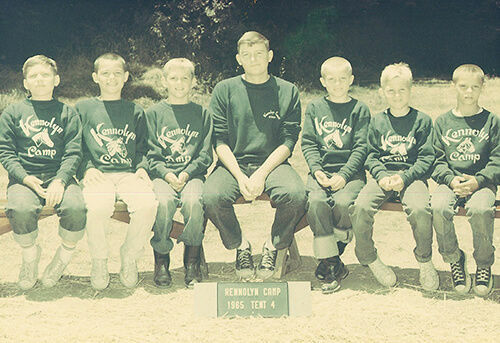 We started Roughing It Day Camp in 1972 with 17 campers, 1 bus, 2 canoes, 5 fishing poles, and a dream in our hearts. 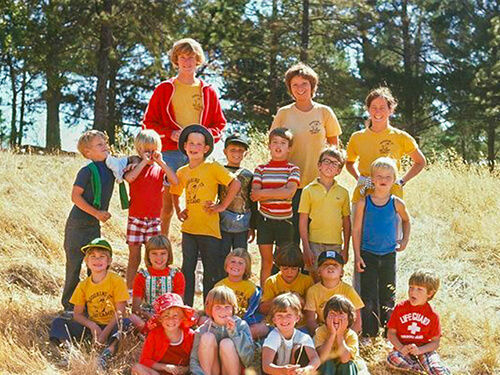 This was almost our whole camp in 1975! Our own daughters, Amy and Katey Woods grew up at Roughing It Day Camp.  We consider all our campers part of our Roughing It Family. 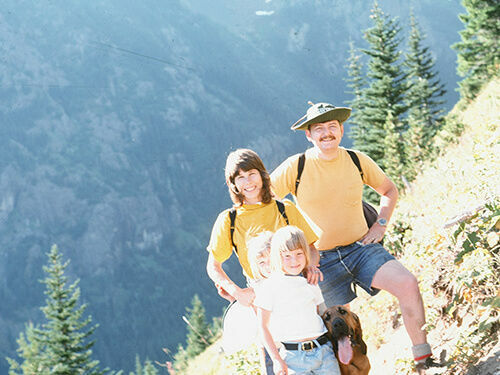 See Our Staff Today – Roughing It has grown over the years!